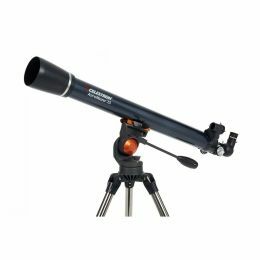 The PowerSeeker 50 is a refractor telescope perfect for terrestrial and celestial viewing on the go. 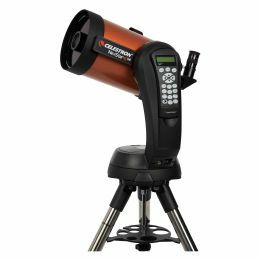 The PowerSeeker can view the planets, moon, star clusters and brighter deep sky objects like the Orion Nebula and Andromeda Galaxy at night. The erect image star diagonal makes the optical tube ideal for using as a spotting scope during the day. 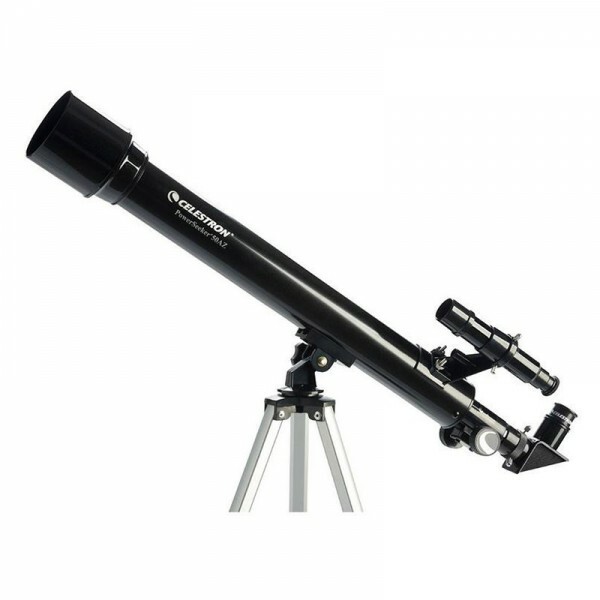 Setting up the telescope is a breeze, so you can begin observing in no time. 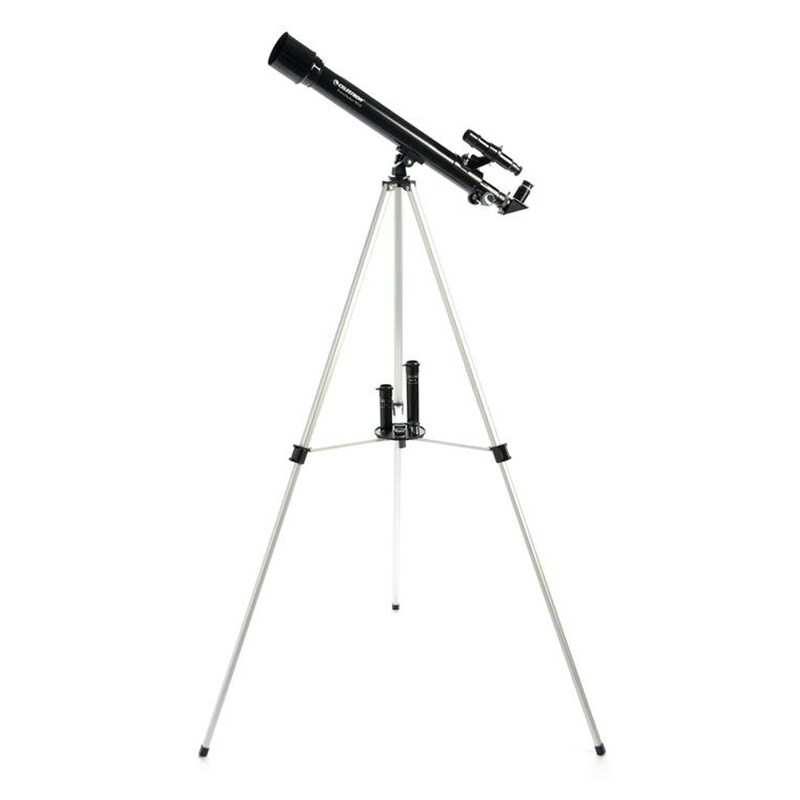 Even on your first time out, you can assemble the telescope and its accessories in just a few minutes. 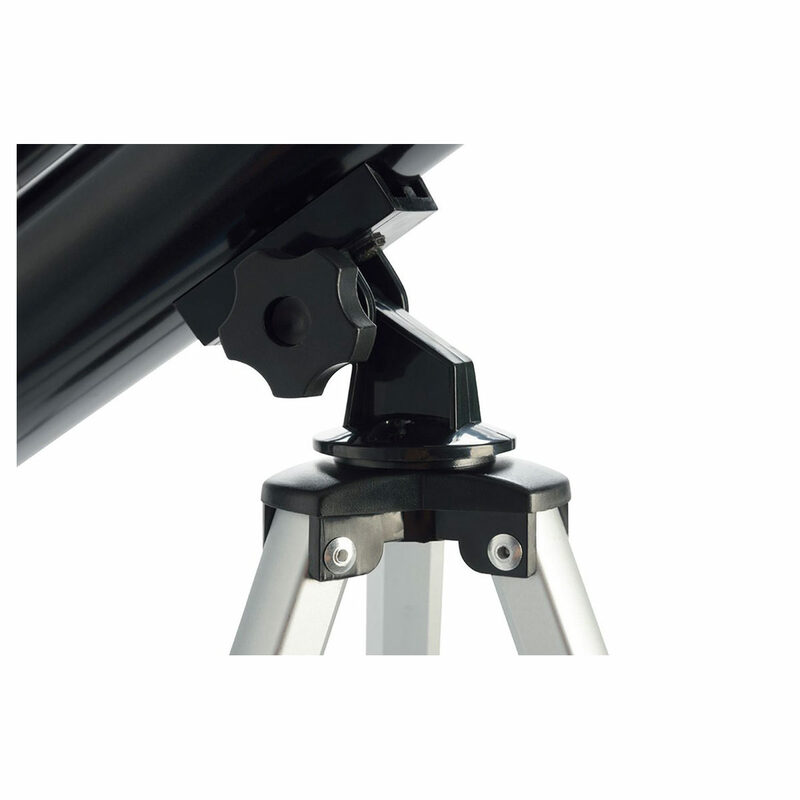 The adjustable tripod legs allow you to customize the telescope’s height or place it on raised surfaces like a picnic table. 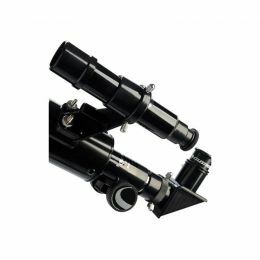 Navigate the sky with a pan handle Alt-Az control with clutch for smooth and accurate pointing. 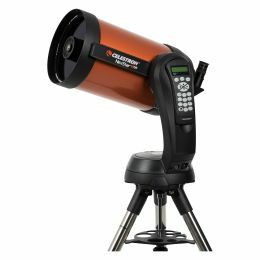 Move the clutch in an up/down, left/right fashion to track your object in the eyepiece. 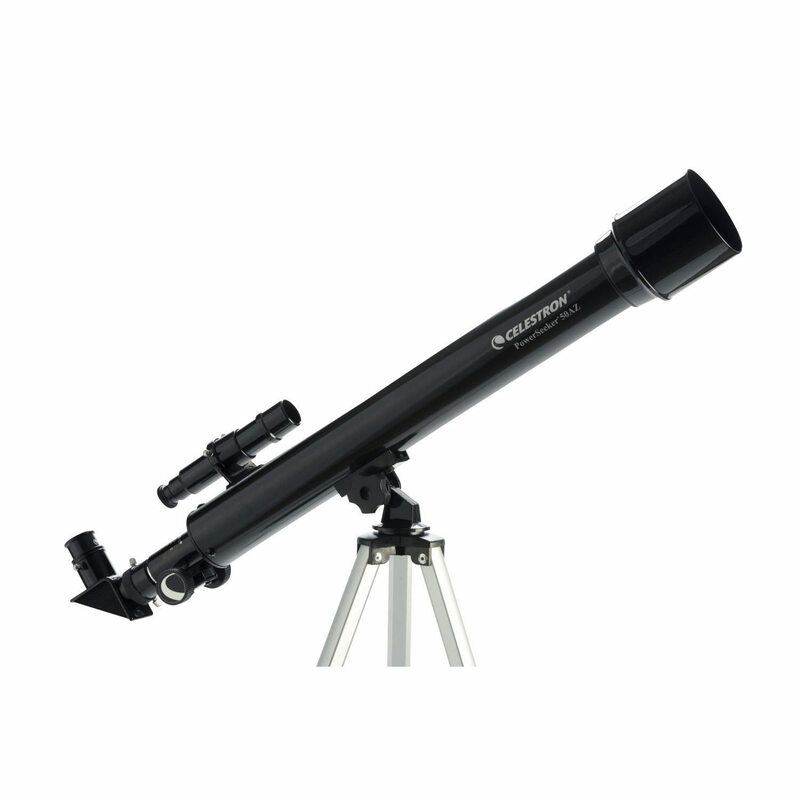 The PowerSeeker 50 comes with three eyepieces (20mm, 12mm, and 4mm), star diagonal, finderscope, and a Barlow lens. 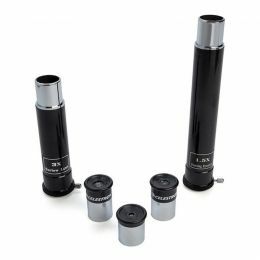 The three eyepieces offer different magnifications to view your intended object. The 3x Barlow lens triples the magnifying power of each eyepiece. 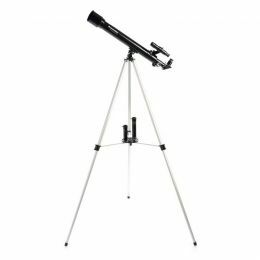 The star diagonal allows for right-side-up viewing ideal for terrestrial subjects but can also be used for celestial objects. 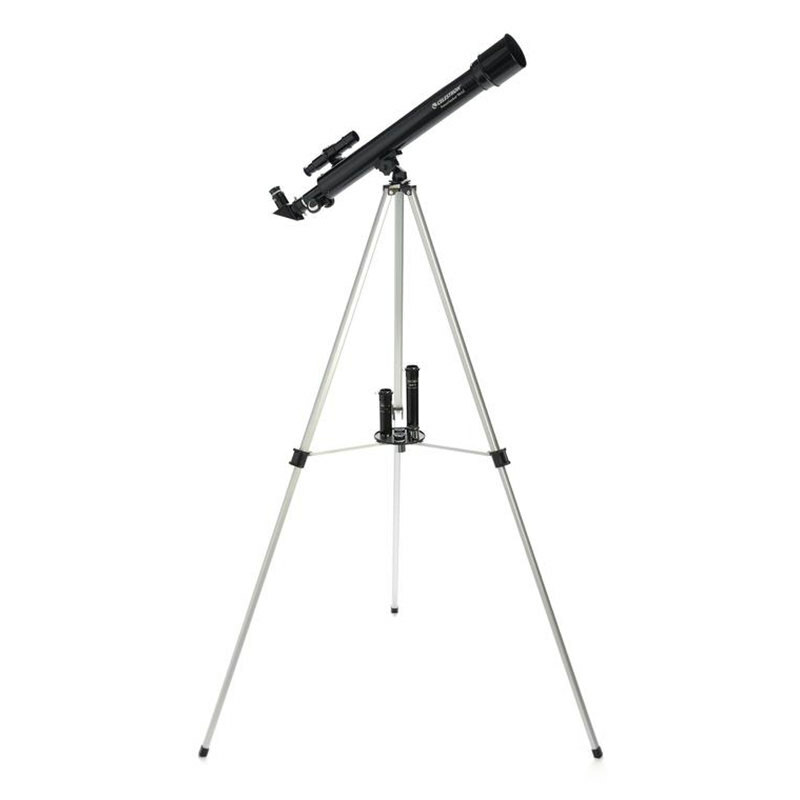 The finderscope will help you quickly center an object in your eyepiece for easier observing. Focal Length of Eyepiece 1: 20mm (0.79"). Magnification of Eyepiece 1: 30x. Focal Length of Eyepiece 2: 12mm (0.47"). 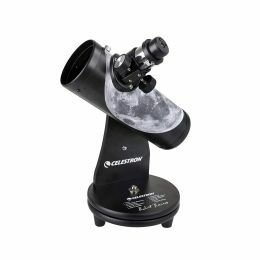 Magnification of Eyepiece 2: 50x. Focal Length of Eyepiece 3: 4mm (0.16"). Magnification of Eyepiece 3: 150x. Resolution (Rayleigh): 2.79 arc second. Resolution (Dawes): 2.32 arc second. Light Gathering Power (Compared to human eye): 51x. 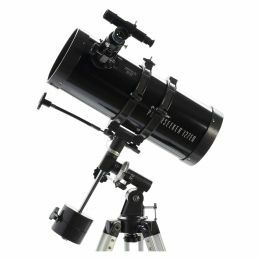 Optical Tube Length: 610mm (24"). Software: Starry Night Basic Edition, SkyPortal App.